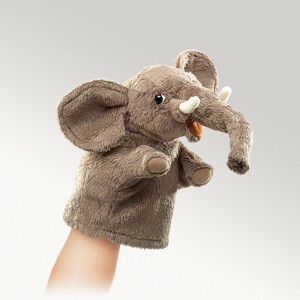 Folkmanis 2940 -This elephant never forgets … love him, snuggle him, kiss him, hug him. P.S. He loves to be on the go. Little elephant measures 7" x 7" x 6". Little puppet with movable mouth and feet.